Alright guys, so excited about today’s post! If you are like me, you probably have a lot of great women in your life that you are trying to decide on what to get this holiday season. My list is quite long… my mother, my sisters, mother-in-law, sister-in-laws, aunts and friends. And finding the perfect gift for them cant be quite the task. Luckily, Alixandra Collections will be making it much easier for me this year, they have a darling selection of unique accessories, jewelry and clothing that make for the perfect gift. 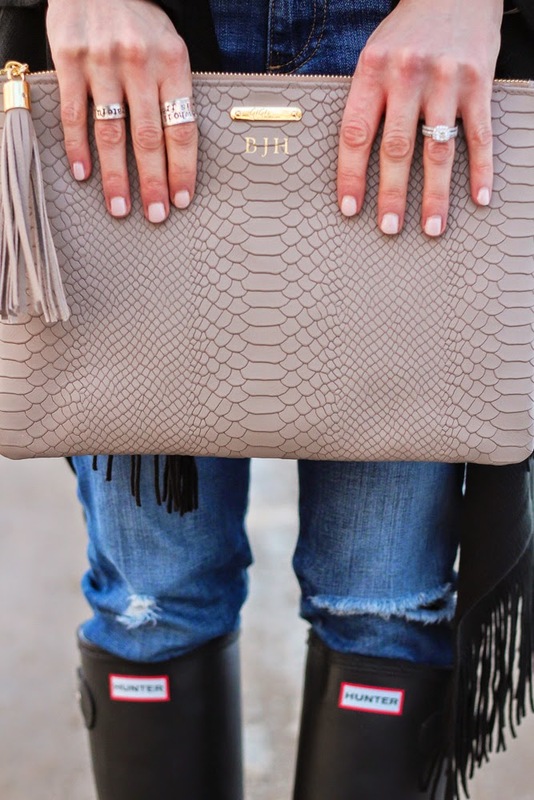 I wanted to share some of my favorite gifts I think any gal would love to receive. 1. 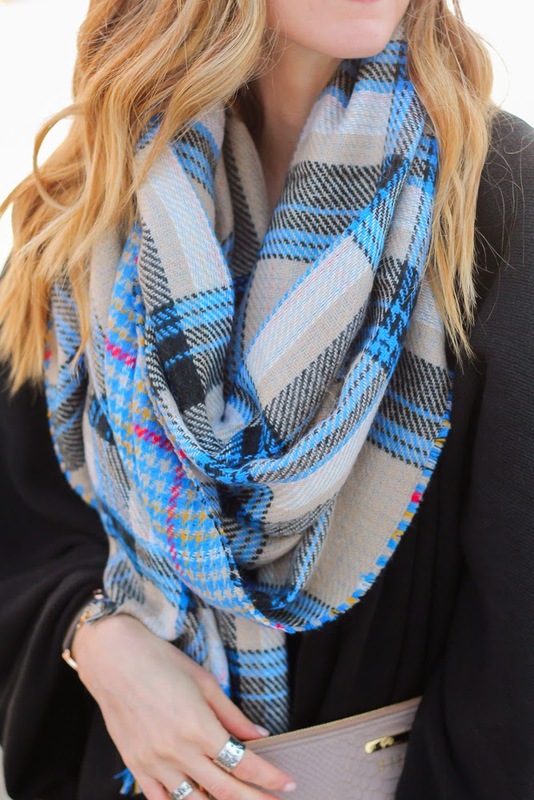 Cozy Scarves -all the scarves pictured today are from Alixandra Collections and only $36! What I love about their scarves is that are huge, perfect size to wrap, tie and wear however you like! 2. 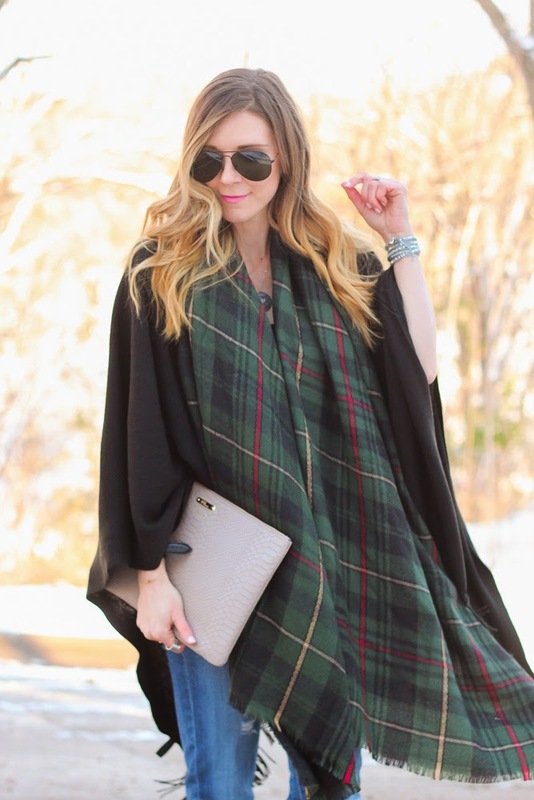 Ruana Capes – another cozy winter item I love. I have the black and tan ruana and LOVE them. I wear them as a cape, and a scarf. I styled the black ruana as a scarf and cape to show you. These babies are under $50! 3. 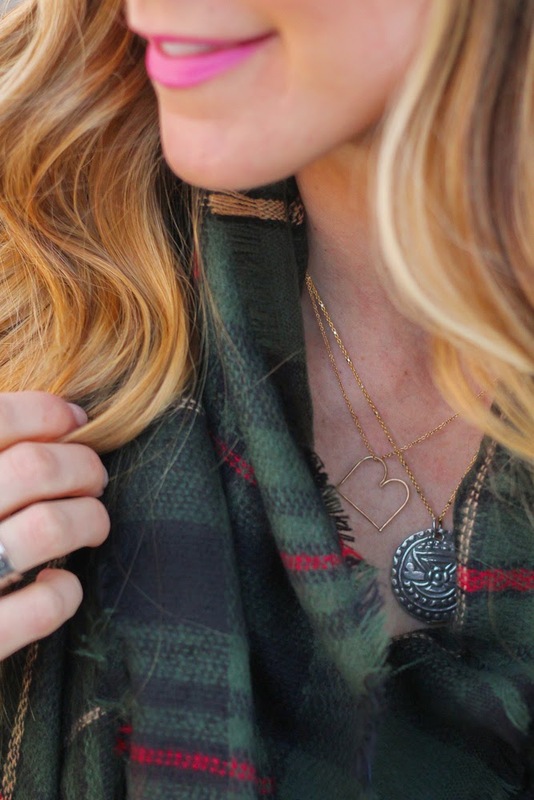 Personalized & Layering Necklace – a lot of you have asked about my gold bar necklaces. These are a great personalized gift. You can personalized the necklace to say whatever you want. They come in gold and silver. Some cute ways to personalize could be birth dates, baby names, a significant others name and heart, your sorority name, the options are endless. I like to layer them with the B. Ali necklaces here. 4. 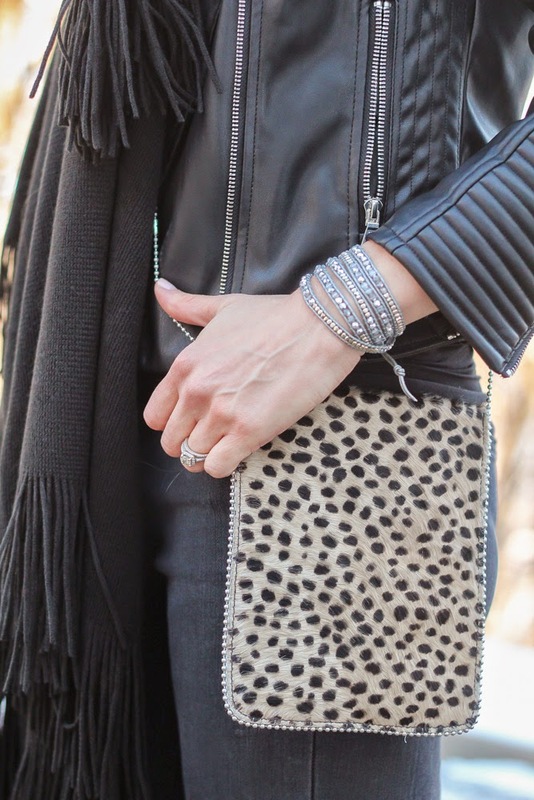 Leatherock cross body bag– I love this leopard print cross body bag. It’s lightweight and the perfect size to for sporting events and concerts and fits your cell phone, wallet and lipstick perfectly. 5. Nakomal Wrap bracelet– I love the look of stacked bracelets and this wrap bracelet gives you just that. My favorite is the silver and they have a color for everyone. 6. MZ Wallace Tote– I LOVE this over-sized metro tote! These totes are quite popular and I can see why. This tote is so versatile and so far I have used the tote as a carry-on, an overnight bag, and baby bag! It is so light, which is nice when you are already adding a lot of items. Plus the fact it’s nylon, if I spill anything on it, it can be easily wiped off. Any gal would love this go to tote! AND… the AC Team is offering all Cella Jane readers 15% off all these gift items. Just enter the code SHOPALIX15CJ at checkout! Great ideas Becky! Anything cozy (scarves, slippers, etc.) is always a win for me and love the personalized necklace idea! I love all of these looks! You have amazing style! Thanks for the inspiration! Hope you have a wonderful Thanksgiving!